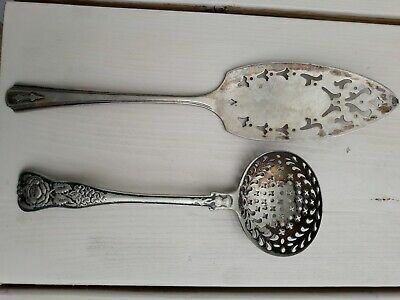 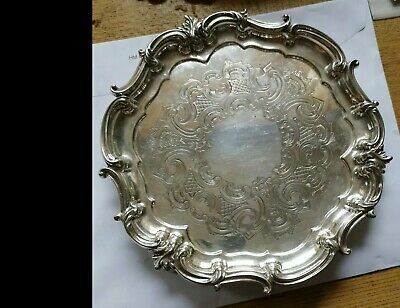 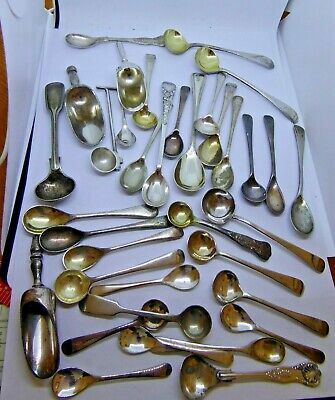 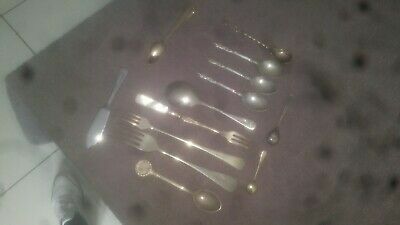 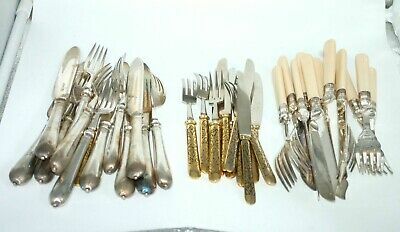 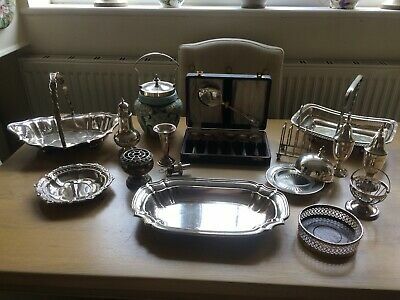 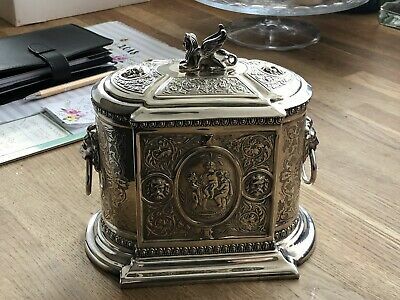 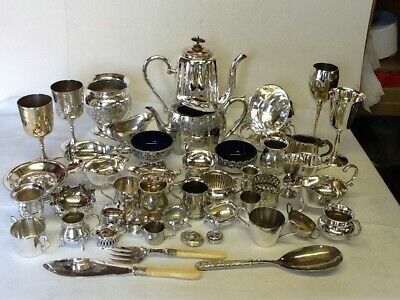 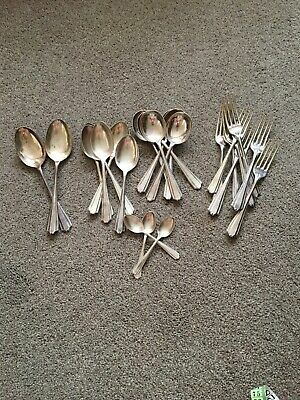 Vintage Job Lot of Silver Plate/Metal Pieces.Sold as Seen! 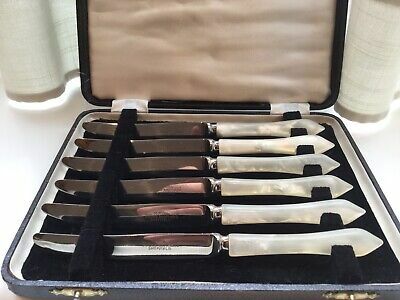 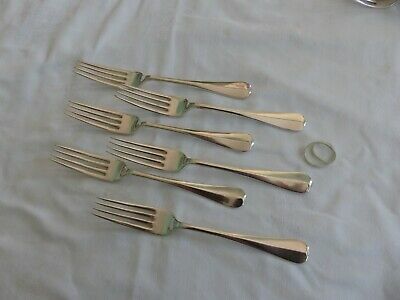 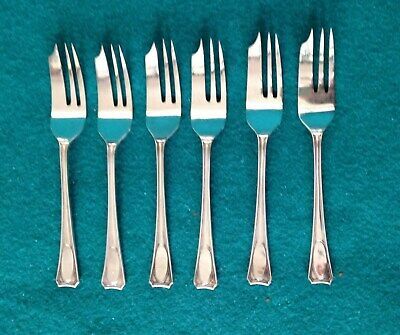 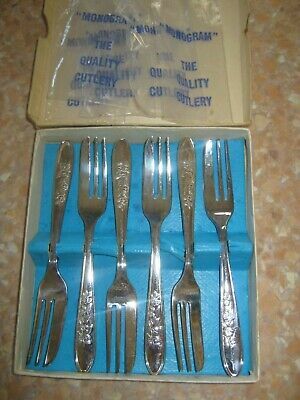 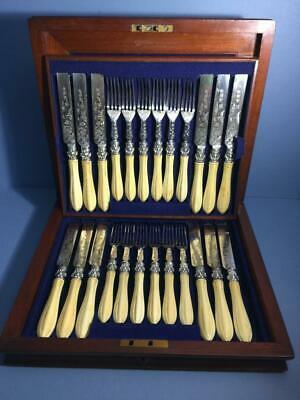 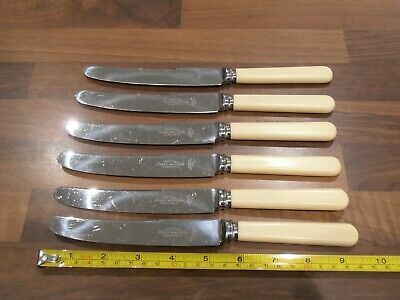 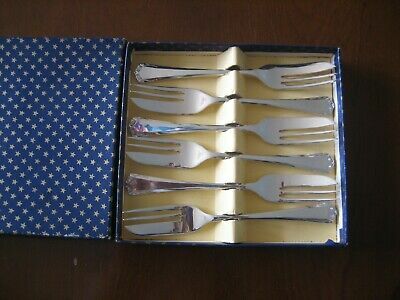 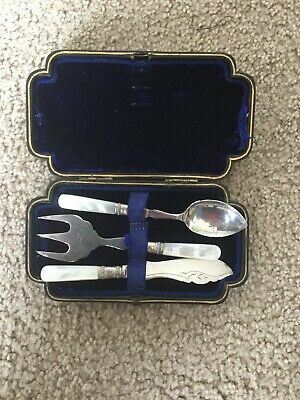 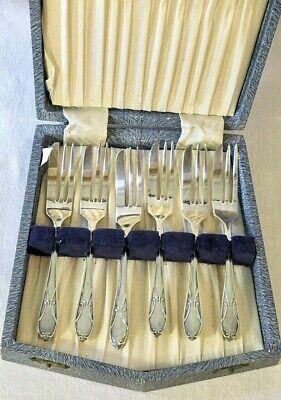 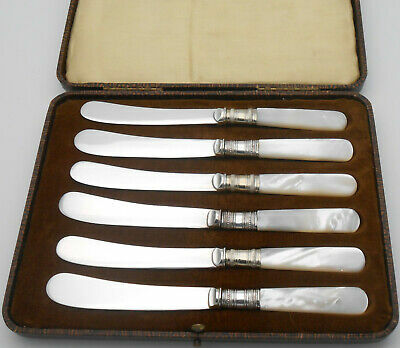 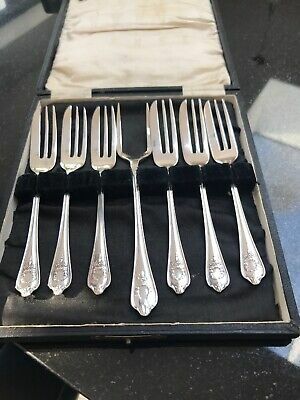 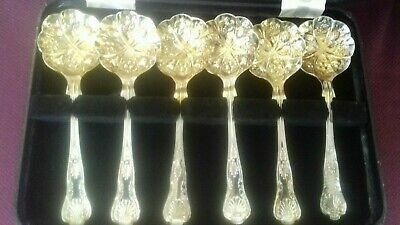 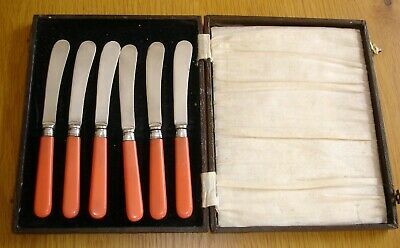 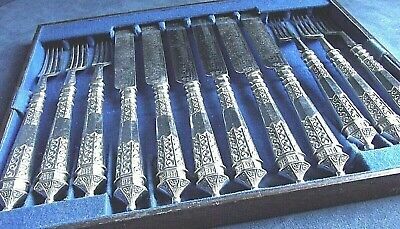 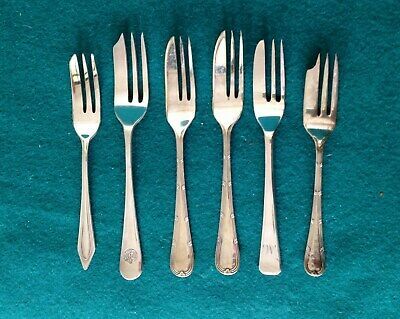 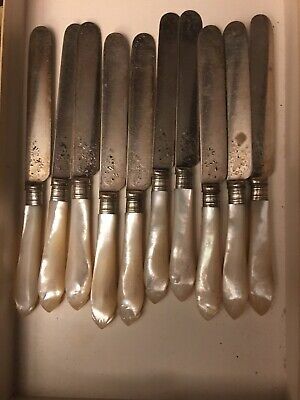 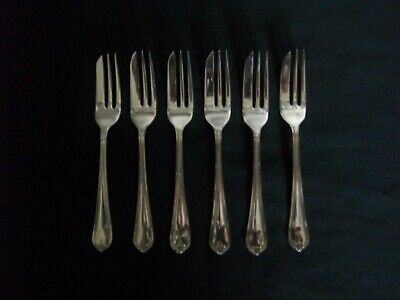 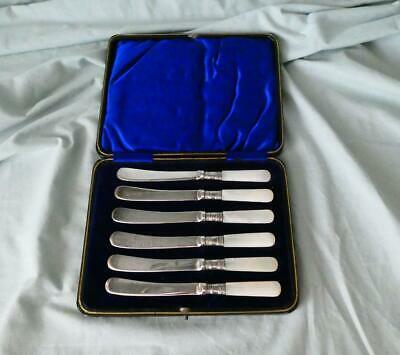 Vintage EPNS set of 6 Art Deco Cake Forks, in original box. 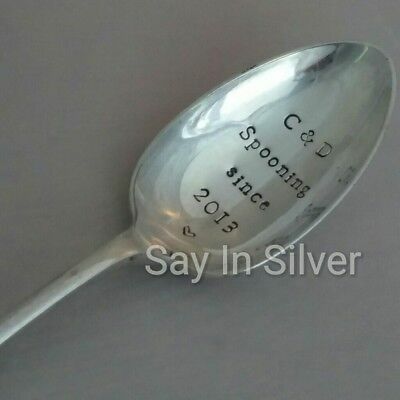 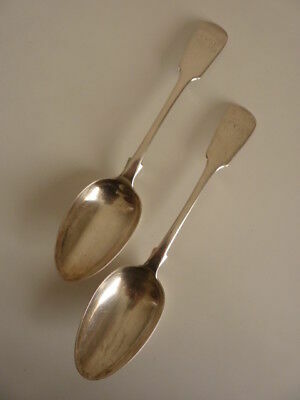 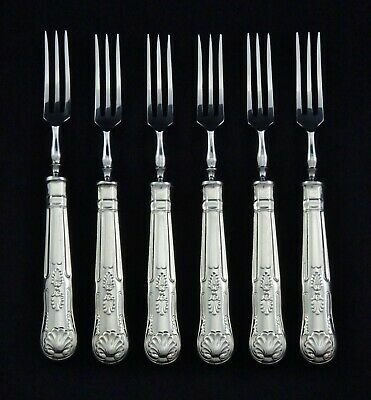 Set Of 6 Silver Plated Desert Spoons And Forks With Serving Spoon. 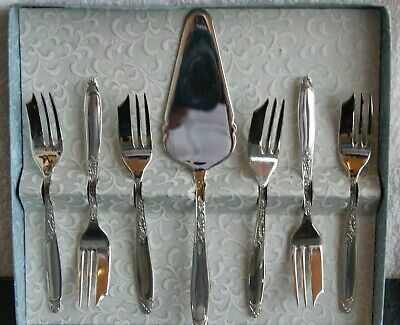 Mappin & Webb Athenian Silver Princes Plate Cutlery Flatware Dessert Fork 6"
Antique Decorative Old Large Fork Silver Plated Well Used. 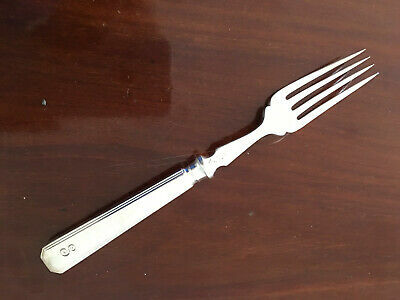 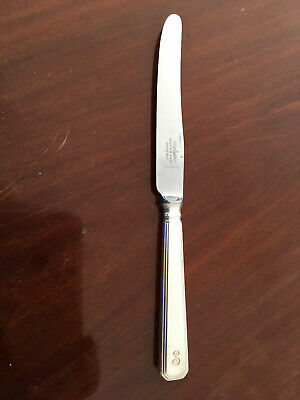 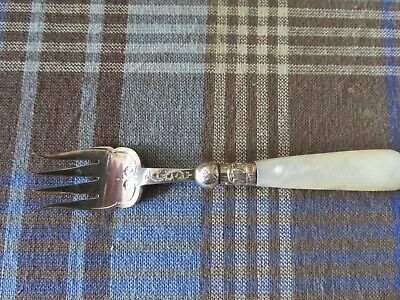 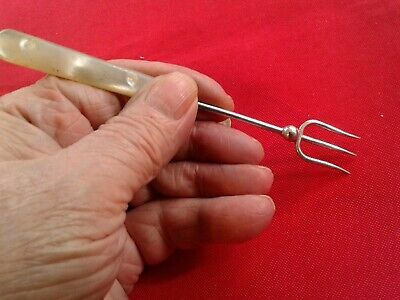 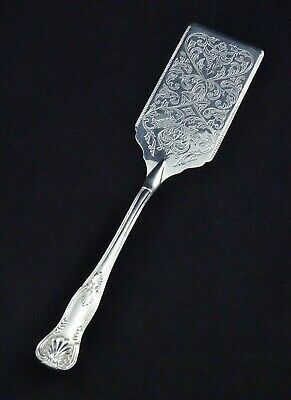 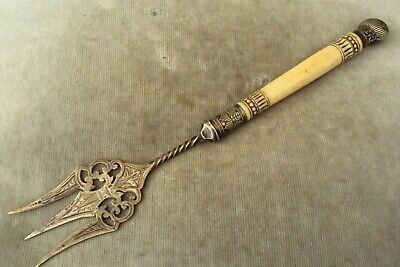 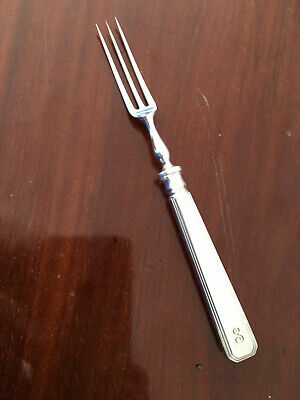 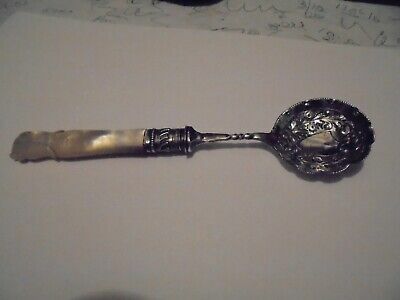 Lovely little silver plate olive/pickle fork with mother of pearl handle. 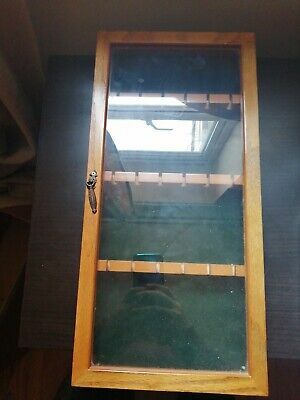 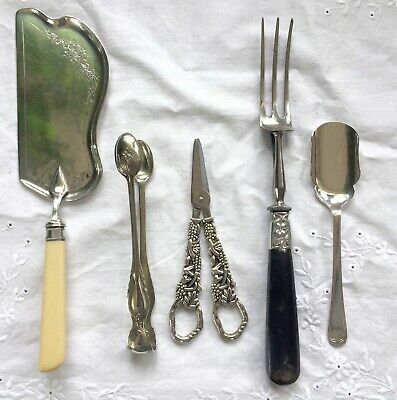 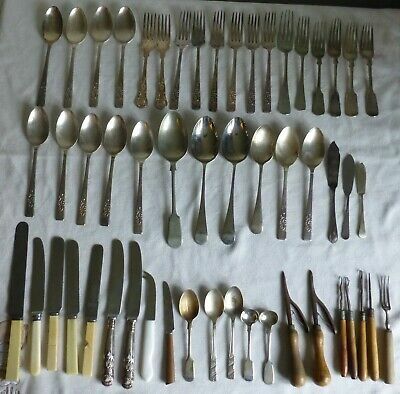 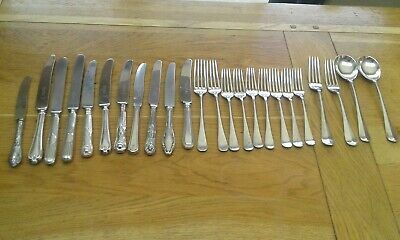 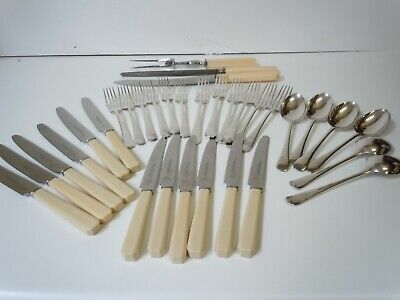 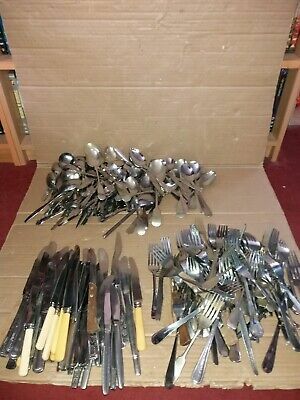 Vintage Flatware Cutlery, Knives, Forks and Spoons 1940s JOB LOT. 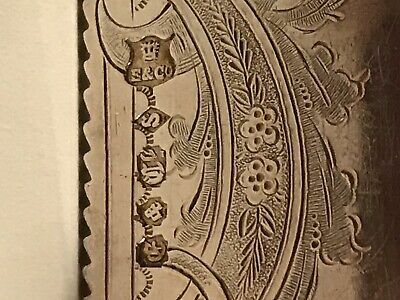 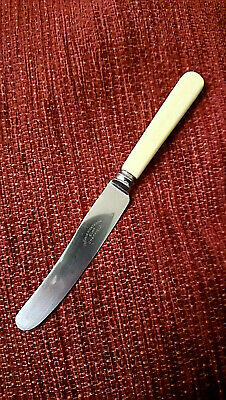 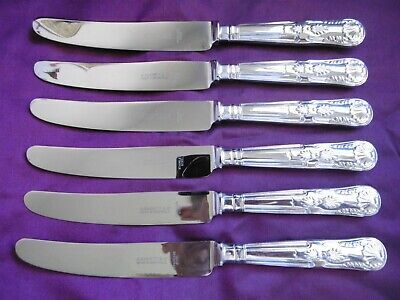 Mappin & Webb Athenian Silver Princes Plate Cutlery Flatware Dessert Knife 6.5"
Antique / Vintage Fruit Knife With Scabbard Grand Tour? 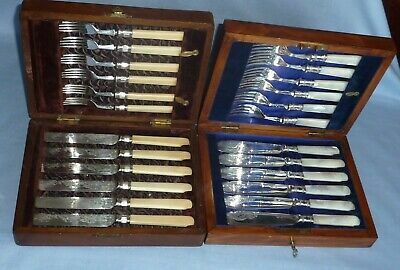 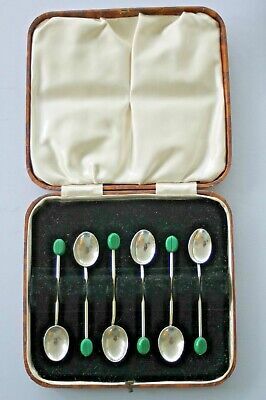 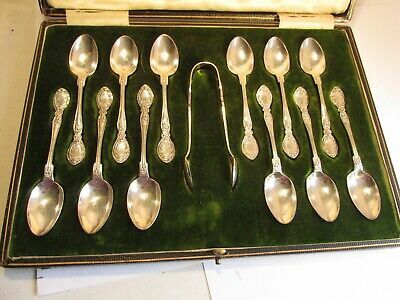 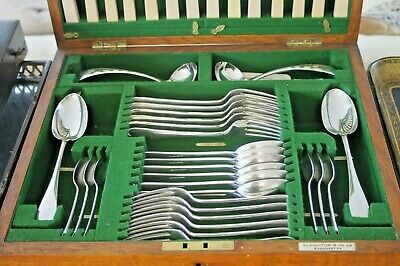 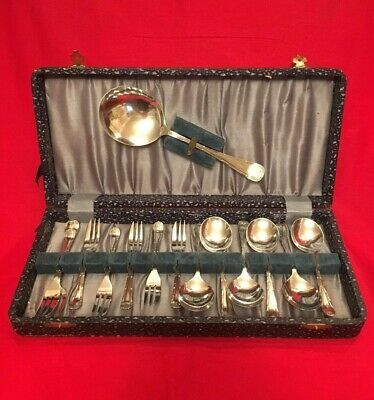 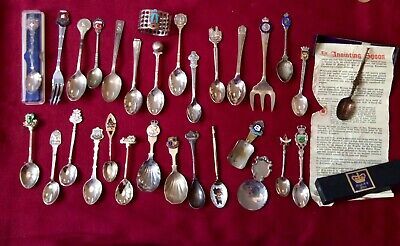 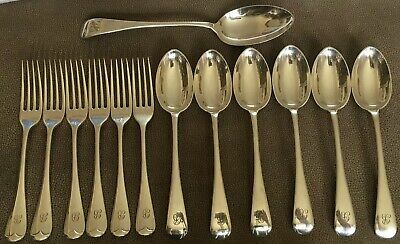 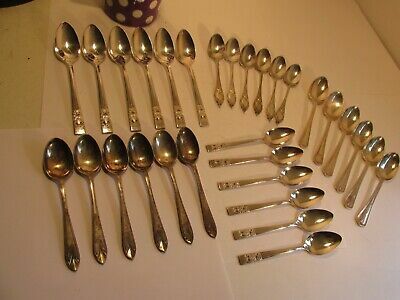 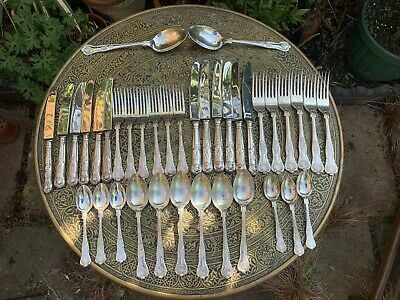 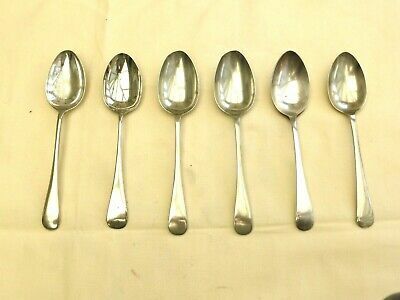 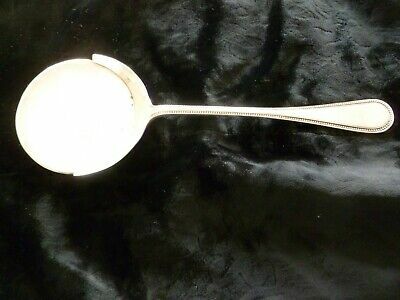 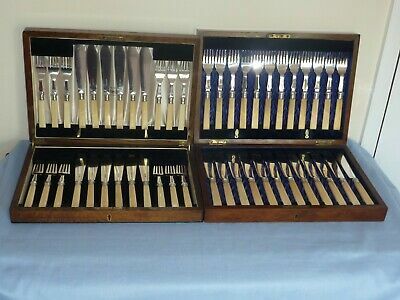 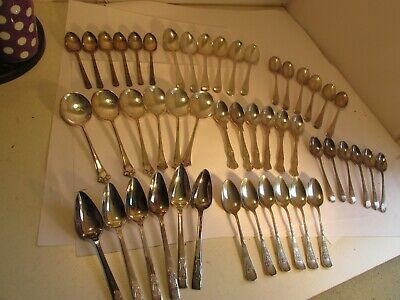 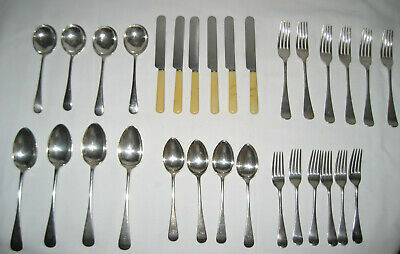 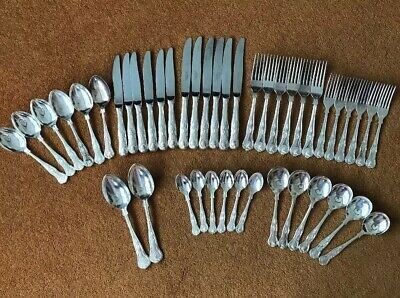 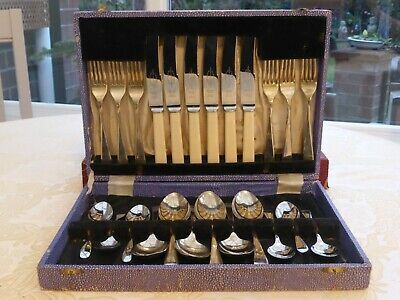 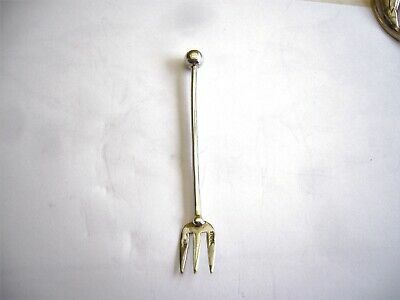 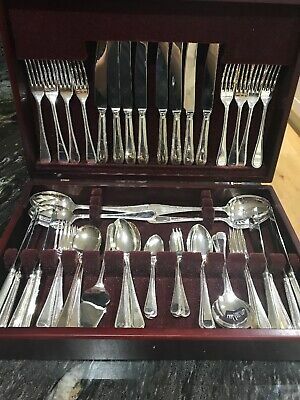 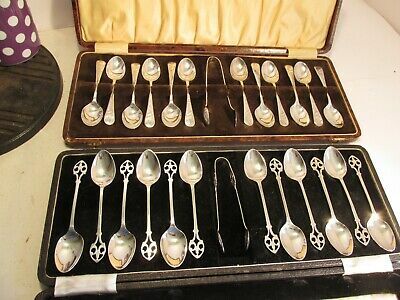 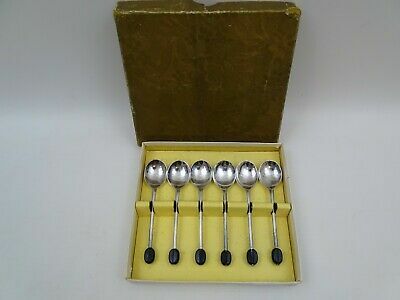 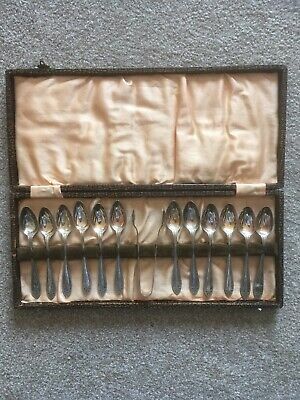 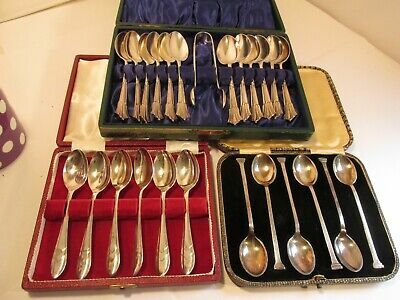 BEAD Design INKERMAN Sheffield Silver 63 Piece Canteen of Cutlery Cased Perfect! 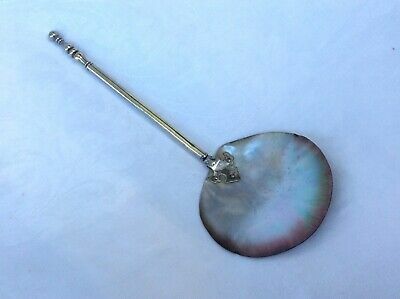 Unusual Mother Of Pearl Serving Spoon. 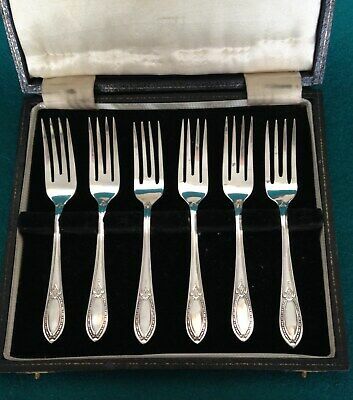 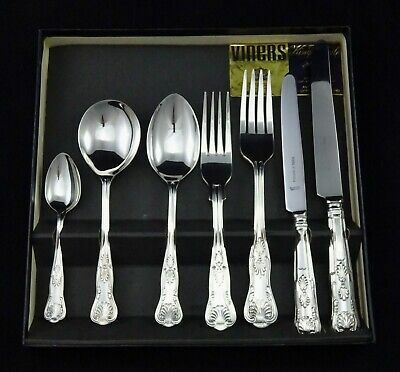 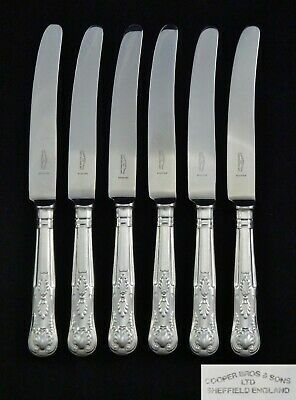 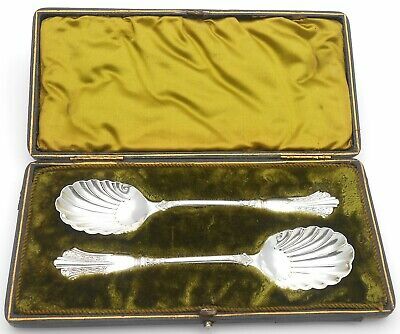 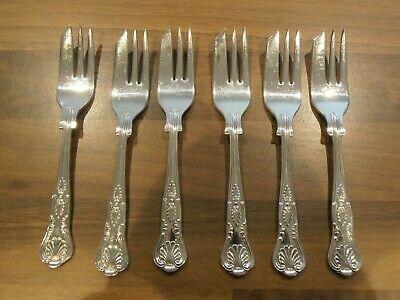 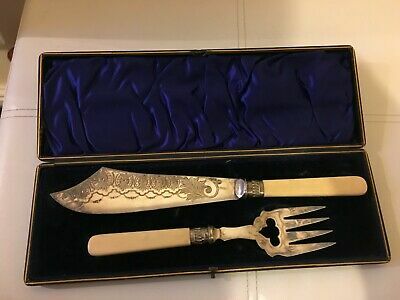 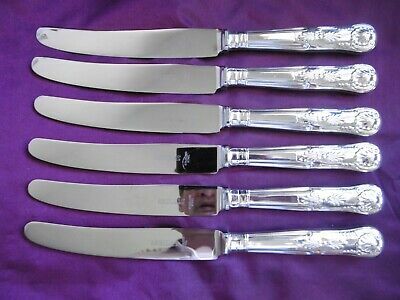 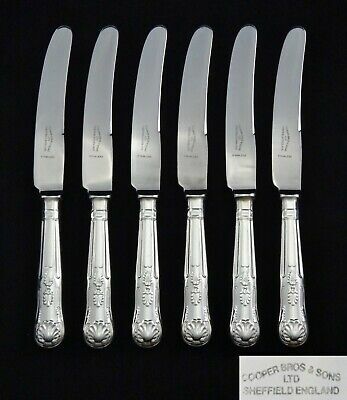 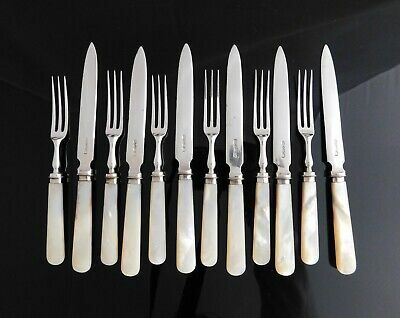 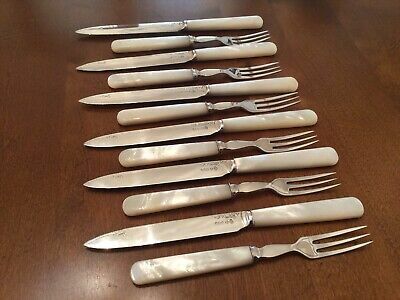 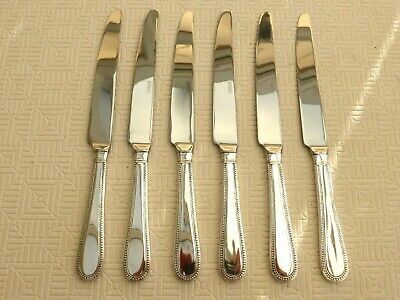 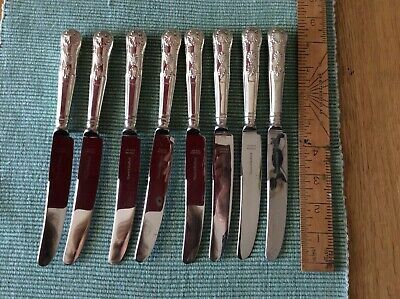 Mappin & Webb Athenian Silver Princes Plate Cutlery Flatware Fish Fork 7.5"
A Set Of Antique Silver Plated Fish Servers.sheffield 1914.silver collars. 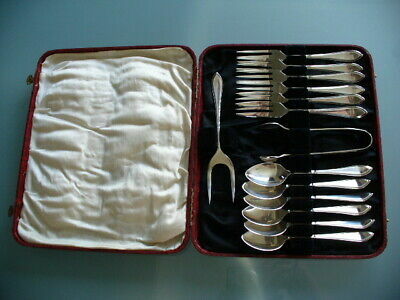 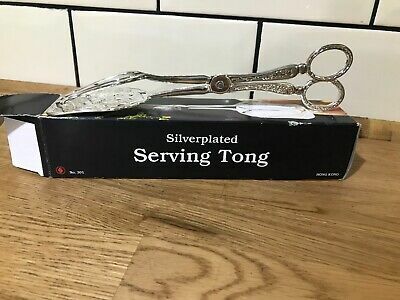 silverplated 12 teaspoon set with tongs in original box c1900?